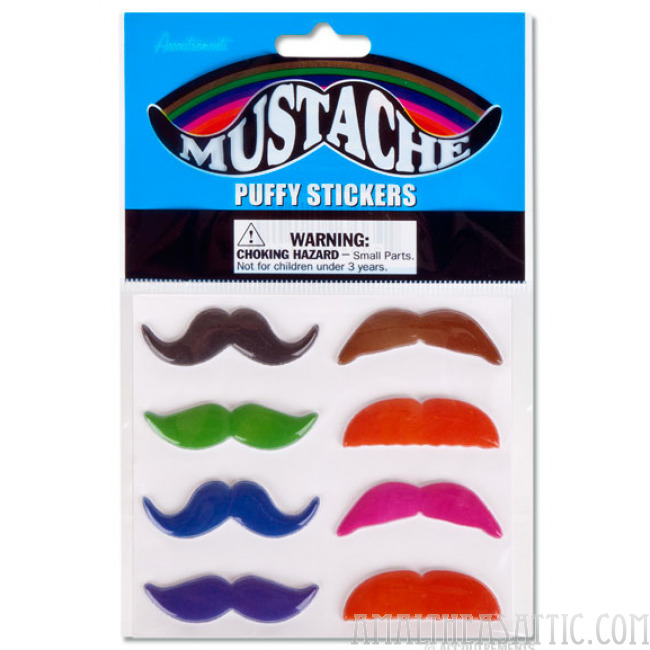 These 1-3/4" (4.4 cm) wide, vinyl Puffy Mustache Stickers give all things an air of stylish sophistication. 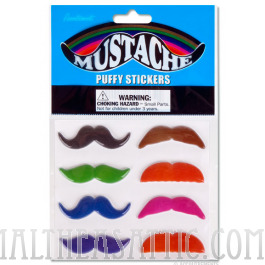 Stick them on everything from dolls and photos to staplers and coffee cups! Eight different fade resistant stickers in each package. Illustrated plastic sleeve.